It's the weekend before Canada's federal election and the Canadian Federal Collectibles series has issued a new Stephen Harper action figure to represent this year's election campaign. 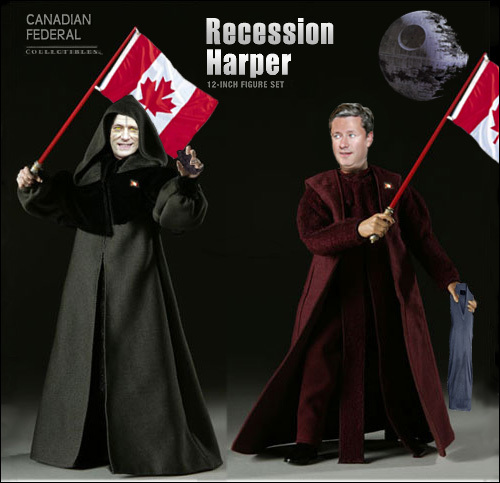 But first, let's have a gander at the Harper action figures from elections past. If you remember, the 2011 figure came with a rolled security fence that could be erected to keep the press at a distance from campaigning Stephen (and which also harked back to the G20 Toronto Summit), a spare set of snap-on hair (in the unlikely event that Harper's gets mussed) and a package of face match software which allows Conservative henchman to scan the crowd at Harper campaign stops and turf those suspected of partisan leanings. Back in 2008 limited quantities of the Election 08 Harper figure were available to the public. They featured Stephen clutching a chunk of Alberta Tar Sands rock in one hand and the Canadian flag in the other. 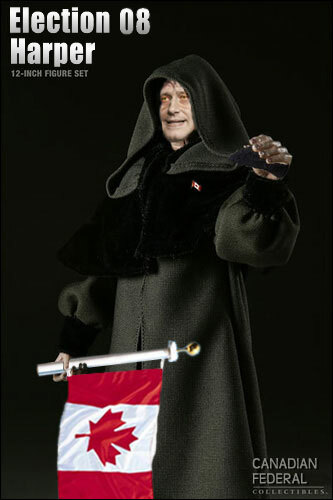 Then, of course, there was the Harper duo pack, which included the Darth Harper figure and Statesman Harper (in full ceremonial garb) gripping a Canadian flag which he could wave vigorously while proclaiming Canada's finances are sounder than any other country in the world. 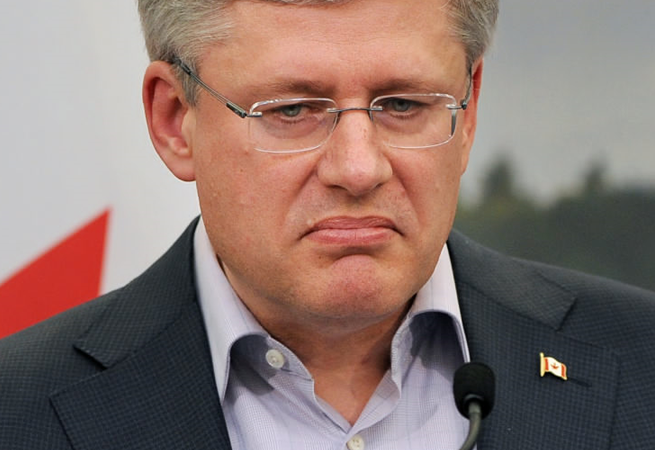 In the event the flag waving failed to placate Canadians, Harper could quickly don the sweater vest he holds in his other hand. Finally, the brand new Harper figure (released practically on the eve of the 2015 election) features Stephen in decidedly casual wear, not unlike what he wore to a recent Conservative party rally with Rob and Doug Ford. 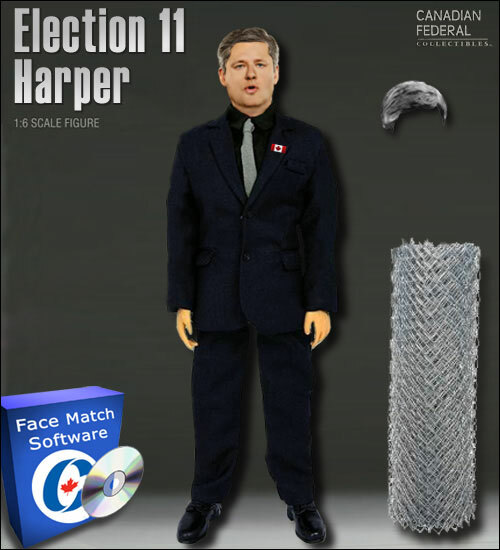 As with the election 2011 figure, this year's Harper collectible comes with a spare set of snap-on hair and some of Stephen's favourite props - the bills tossed around as a game show gimmick at recent campaign stops. Election Harper 2015 is available from vendors across the country. See you at the polls on Monday, Canada!